Valero (VLO) incorporated in 1981 and is the world’s largest standalone refiner with 15 petroleum refineries across the United States, Canada, and the United Kingdom. The company’s refineries process crude oil into many different products. Valero buys crude oil from other companies and processes it into conventional and premium gasolines, diesel, jet fuel, asphalt, petrochemicals, lubricants, and other refined products (petroleum coke, propane, lubes, etc.). Valero sells its branded and unbranded refined products on a wholesale basis through a bulk marketing network and 7,400 outlets that carry its brand names. In addition to its refineries, Valero owns 11 ethanol plants that convert corn into ethanol, which is sold on a wholesale basis and primarily used in renewable fuels. Valero is also the majority owner of Valero Energy Partners (VLP), a fee-based master limited partnership that operates liquids-focused pipelines and logistics assets. Valero owns the entire 2% general partner interest, all incentive distribution rights, and 66% of outstanding limited partner units. Valero used to have a company-owned retail network of more than 1,000 gas stations and convenience stores but spun off this business (CST Brands) in 2013. 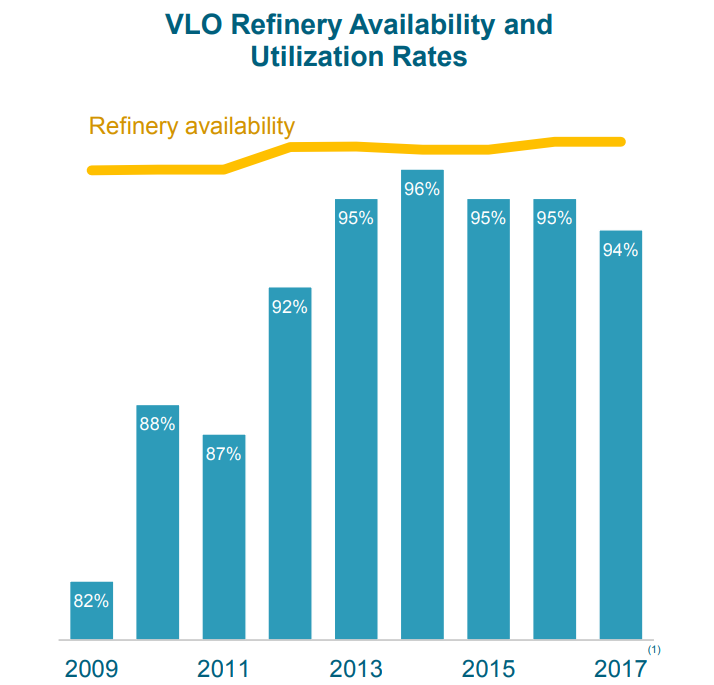 Refining (90% of operating income): Valero’s petroleum refineries have total throughput capacity of 3.1 million barrels per day. Over 70% of the company’s refining capacity is located in the U.S. Gulf Coast and Mid-Continent. Ethanol (4% of operating income): Valero’s ethanol plants process corn to produce ethanol and distillers grains. Ethanol is sold primarily to refiners and gasoline blenders. 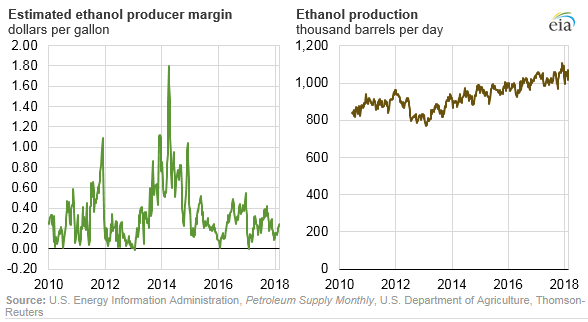 The price of ethanol generally follows the crude oil and gasoline prices, which is why this segment’s contribution to total operating income collapsed in 2015. Valero Energy Partners (6% of operating income): includes the results of VLP, a publicly traded master limited partnership formed by Valero in July 2013 to provide transportation and terminaling services to Valero's refining segment. VLP enjoys 100% fee-based revenues, has an investment grade credit rating, and is primarily used to fund logistics growth at Valero through drop-down asset sales. Refining is extremely capital intensive. Valero spends $1.7 billion annually just to maintain its existing facilities. A single refinery can be the size of several football fields and cost several billion dollars to construct. Building new refineries is especially challenging due to permitting issues and stringent environmental regulations. Refineries also require access to transportation systems, pipelines to move their products, and feedstock supply agreements. For these reasons, there are few new entrants to the market. Until 2012, the U.S. hadn’t seen a new refinery built in 30 years, per Bloomberg. Not surprisingly, a handful of large players control the majority of total refining capacity. Despite the industry’s high barriers to entry, operating margins are volatile and typically sit in the low to mid-single-digit range. Margins are slim because refiners sell commodities on a global basis, have little to no pricing power, and have capital-intensive operations. The best companies in commodity markets are those with the lowest costs and strongest balance sheets, which makes Valero a potentially attractive investment candidate. Valero is the largest independent refinery in the world and can process some of the most complex crudes compared to its competitors. Many different types of crude oils can be processed – light sweet, heavy sour, etc. – and each type has its own benefits, disadvantages, and price points depending on market conditions. Valero can process over 80 different types of crude oils, giving the company input flexibility to capitalize on a range of different market conditions to maximize profit. While over 50% of Valero’s crude oil feedstock requirements are typically purchased under contracts (the rest are purchased on the spot market), the company's input flexibility prevents it from being overly dependent on any single supplier. Beyond scale and flexibility, Valero’s operations also benefit from their geographical positioning. 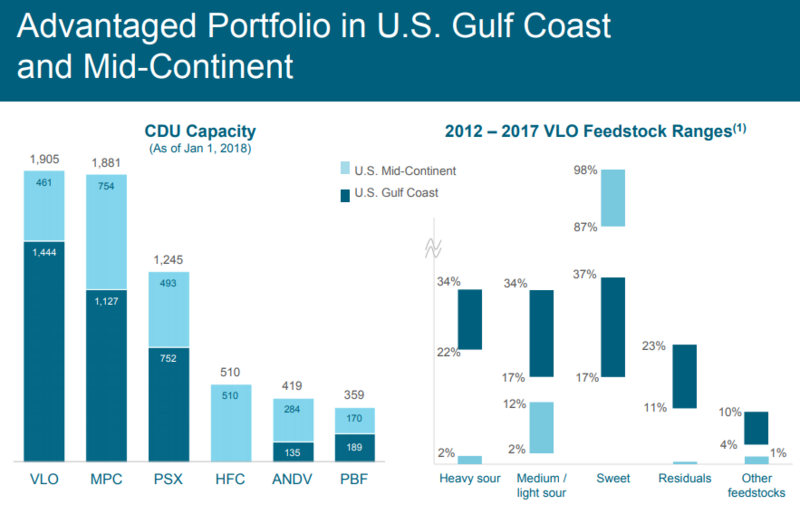 Over half of Valero’s refining capacity is positioned in the U.S. Gulf Coast. These advantaged locations enjoy access to low-cost energy sources (natural gas is a major input cost) and provide Valero with easy access to export markets around the world. Valero’s MLP subsidiary (Valero Energy Partners) also helps the company’s operational efficiency because its assets are integrated with Valero’s refineries. The MLP provides access to low-cost logistics and transportation systems to source and move Valero’s oil feedstock and end products. While selling prices fluctuate heavily, petroleum refiners benefit from the predictable demand for refined products. 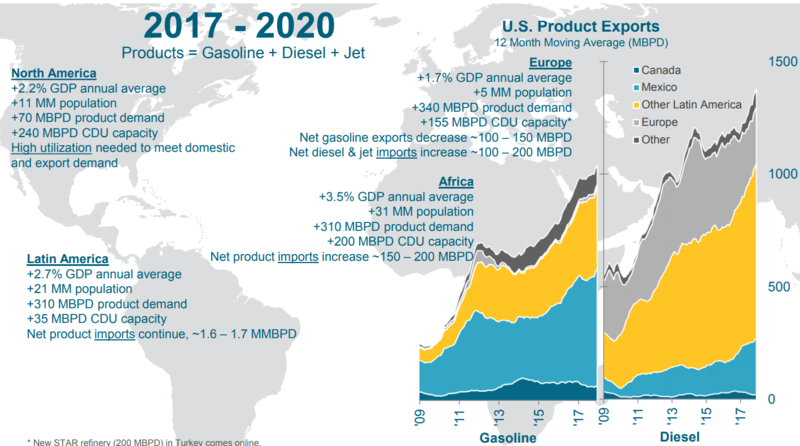 Downstream demand for Valero’s products essentially follows GDP growth, and investors do not need to worry about the company’s end products becoming obsolete anytime soon (gasoline will remain an essential need despite increased energy efficiency over the coming years). However, even when demand trends are steady, Valero’s quarterly profits can swing wildly. Valero’s ethanol and refining segments have different risks. The ethanol business is sensitive to the price of oil, which drives the prices Valero can charge. Additionally, renewable fuel standards impact demand for ethanol and are a controversial issue (they require companies to blend ethanol with gasoline or buy credits). As a result, the ethanol segment's contribution to company-wide profits can vary significantly but is usually a relatively small component of Valero's overall mix (from less than 5% to 15% of segment income). The refining business is what will really make or break Valero’s profits going forward. A common evaluation of refiners’ profitability is the crack spread, which measures the difference between the purchase price of crude oil and the selling price of finished products (e.g. gasoline). U.S. refiners have enjoyed an unprecedented boom in profitability over the last five years thanks to the surge in domestic production of crude oil and natural gas. 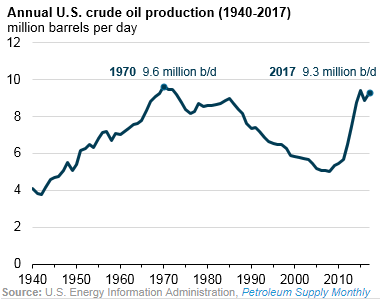 Daily oil production has nearly doubled since 2010, according to the U.S. Energy Information Administration. As a result, domestic oil prices (West Texas Intermediate – WTI) began to trade at a major discount to Brent crude oil prices, which serve as a benchmark for refined products sold internationally. Since U.S. refiners source their crude oil needs domestically, they benefit from a wide Brent-WTI spread. As seen below, the Brent-WTI spot price spread remained near zero from 1992 through 2009. Once U.S. oil production took off, a flood of domestic capacity kept WTI prices far below Brent prices. The spread hit nearly $30 per barrel in 2011 but has since normalized. U.S. refiners enjoyed a boom in profits as input costs (crude oil) declined and gasoline consumption and exports increased. Between 2010 and 2015, U.S. exports of gasoline and other fuels surged 38%, according to the Wall Street Journal. (I highly recommend reading the article if you are considering investing in refiners). Valero provided charts showing U.S. gasoline and diesel exports from 2009 through 2017. Increasing oil production, expanded infrastructure, and low-cost domestic energy production are driving the surge in exports. While most of the energy sector was walloped by plunging oil prices in recent years, Valero’s profit grew significantly through 2015 as crack spreads widened. However, infrastructure (pipelines, marine transportation, railcars, etc.) eventually began to catch up, narrowing the Brent-WTI spread significantly in recent years and smoothing out regional pricing differences that had helped some refiners gain access to cheaper landlocked oil. With Congress overturning the ban on U.S. crude oil exports in late 2015 (U.S. oil exports nearly doubled in 2017 compared to 2016), the Brent-WTI spread will likely remain near $0 going forward. In commodity markets, high prices often cure high prices. In addition to the narrowing Brent-WTI spread, refiners have cranked up production levels to take advantage of the wide crack spreads, which has reduced the industry’s juicy margins. Where crack spreads go from here is anyone’s guess. However, Valero's business will be hurt if the price of oil surges and gasoline prices remain steady. Longer-term margins will depend on supply and demand for crude oil and refined products. 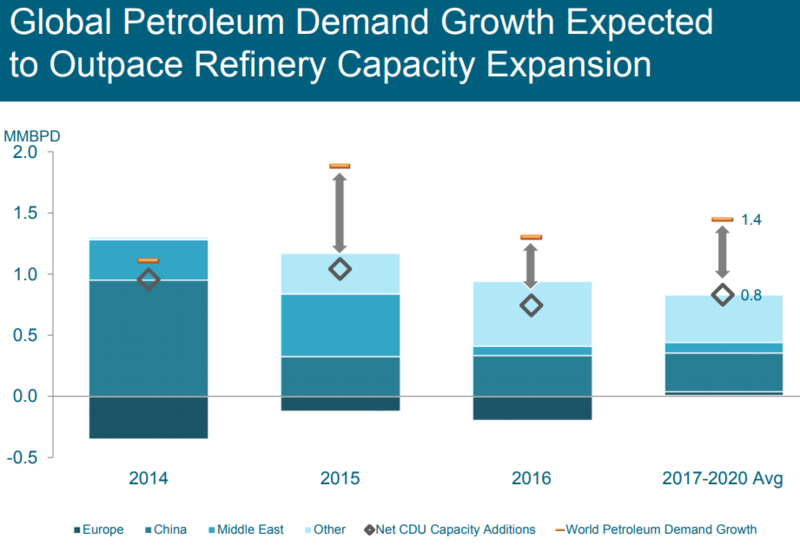 As seen below, Valero expects world petroleum demand growth (the orange line) to exceed net capacity additions (the gray diamond). It remains very difficult to build new refineries and takes years of time. At the end of the day, Valero’s business seems like it will always be needed in the global economy. However, its profitability will continue to swing wildly depending on a number of uncontrollable factors. While a “normalized” margin in the mid-single-digits seems fair for a commodity business, there are a lot of moving parts that can impact Valero’s profitability any given quarter. Conservative income investors might also note that Valero cut its dividend by 67% in 2010 and wonder what happened. Essentially, Valero experienced a massive margin squeeze as crude oil prices rose much faster than gasoline prices. The financial crisis dented economic growth, which caused demand to slump and left too much inventory and spare refining capacity in the industry. With lower utilization across its refineries, Valero’s high fixed costs (along with the collapse in crack spreads) destroyed its profitability. Valero swung from high profits in 2007 to a loss in 2009. Unfortunately, the company’s balance sheet was also stretched. Valero ended 2009 with $7.4 billion in total book debt compared with cash of $825 million. From 2010 through 2012, Valero’s debt coming due totaled $1.4 billion. In other words, the company needed to retain as much cash as possible during the credit crisis. Cutting the dividend by 67% saved the company over $200 million per year. Interestingly enough, Valero’s payout ratio in 2007 was below 10%. Dividend investors who only focused on payout ratios as a measure of safety were burned badly. Cyclical, commodity-sensitive companies with financial leverage must be scrutinized. With annual maintenance capital expenditures of $1.7 billion in 2018 and dividend payments of about $1.2 billion, Valero needs at least $2.9 billion in free cash flow each year to break even before accounting for potential debt repayments (the company lost money in 2009). 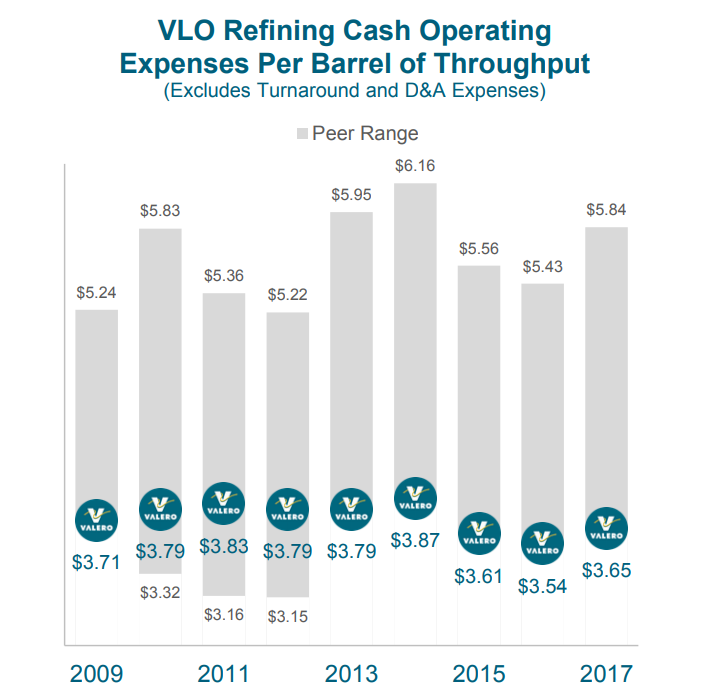 With $5.8 billion in cash and several billion dollars available through its credit facilities, Valero could likely continue making dividend payments during the next cyclical downturn if free cash flow went to zero for a very short period of time. It would likely take a major industry downturn similar to the one experienced in 2008-09 to create risk of a dividend cut, and the company appears to be better positioned today to get through tough times. However, investors certainly need to approach Valero with some caution, or perhaps even decide to rule it out altogether given the company’s complexity. Valero is a highly volatile stock that should be approached with some caution. Refining margins can unexpectedly swing and materially impact earnings results any given quarter. While the company does have some cost advantages and appears to be conservatively managed, Valero has also benefited significantly from lucky macro tailwinds over the last five years (fast-growing U.S. energy exports, the favorable Brent-WTI spread, etc.). 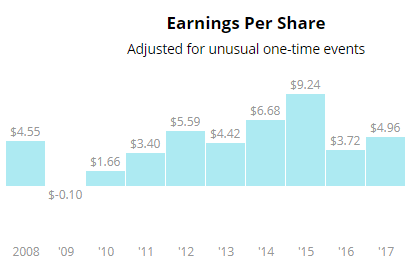 Valero’s dividend looks very safe for the time being, but an investment in the company does require some monitoring of the company’s overall financial health – especially if refiners ever face another environment like they did during the last recession. Valero is in better health today than it was back in 2008-09, but you can never be fully sure with any cyclical company. Risk averse investors may be better off sticking with companies operating in less volatile industries.